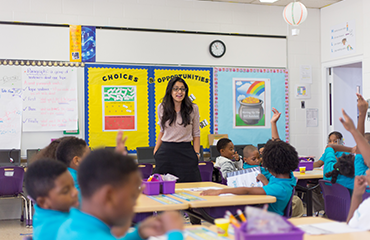 Taking care of our teachers and staff is a top priority for KIPP NJ, which is why we pay one of the highest starting salaries for lead teachers and offer a variety of perks and benefits to our team members. KIPP NJ employees can join our network Verizon phone plan for around $65 a month (even cheaper for non-smartphones). Every staff member also gets a laptop. 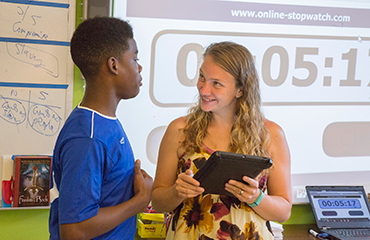 Nearly every KIPP NJ classroom is equipped with a smartboard and document camera, as well as wireless networking on all campuses. We have an extensive tech support team that ensures every support request is handled within 2 days. Our plans start the day you do. You can put away pre-tax dollars for childcare, new glasses, and medicine. And KIPP puts money into your Health Savings Account if you enroll. All KIPP NJ teachers are enrolled in a state pension plan. If you’re already enrolled we’ll work with you to roll your plan over. If you join our non-instructional operations, we’ll help you roll your pension into a 403(b). 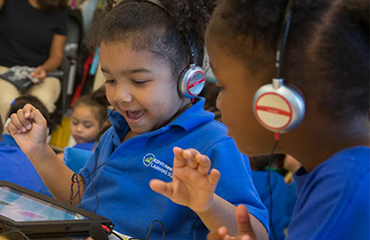 We offer a referral bonus for most positions at KIPP New Jersey. Bonuses can range from $500 to $10,000.